A thirty minute introductory dance class containing ballet and creative movement. Young dancers will learn the basic steps while learning how to follow direction and imitate movement in a positive environment. Engaging music is used to get these little guys inspired to dance. The use of props such as Twinkle bears and hula hoops, enables the young dancers to use their imagination, creativity and, most of all, have fun! A thirty minute introductory dance class containing ballet, tap and creative movement. Young dancers will learn the basic steps while learning how to follow direction and imitate movement in a positive environment. Engaging music is used to get these little guys inspired to dance. The use of props such as Twinkle bears and hula hoops, enables the young dancers to use their imagination, creativity and, most of all, have fun! 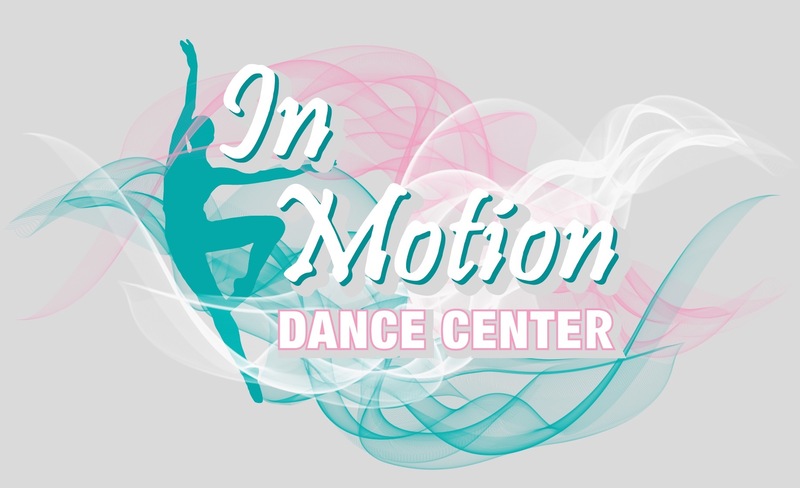 An age specific 45 minute class containing ballet, tap and jazz/creative movement. The purpose of the class is to introduce young dancers to the three styles of dance and inspire movement and creativity within a positive environment. Dancers will also learn basic steps and terminology in all three styles. For example, all dancers will learn what a “plie” is and how to demonstrate one. The use of fun, age appropriate music engages the young dancers’ minds and bodies. The use of props such as hula hoops for the “freeze dance” makes the end of class the most fun! Students will continue learning classic jazz dance technique while developing rhythm, coordination and musicality skills. Our jazz classes offer an upbeat and energized environment for students to fall in love with dance! Classes include a combination of warming up, center and across-the-floor technical skills, and a variety of jazz choreography throughout the year. Our popular hip hop classes focus on musicality, body isolations, coordination, and having FUN! All of our teachers use age appropriate music and costuming for each of our youth hip hop classes. In addition to learning various techniques of hip hop, students also work on their performance quality and ability to learn choreography quickly. Ballet is the foundation of dance. The fundamentals of ballet will be taught using classical ballet technique. Each class will concentrate on proper alignment, lift, turnout, terminology and style. Students will learn classic jazz dance technique while developing rhythm, coordination and musicality skills. Our jazz classes offer an upbeat and energized environment for students to fall in love with dance! Classes include a combination of warming up, center and across-the-floor technical skills, and a variety of jazz choreography throughout the year. Students will work on developing coordination and rhythm skills in tap class in an exciting and upbeat atmosphere. Our teachers pay close attention to each student to make sure that basic skills are developed and challenge dancers each week with fast paced, advanced rhythm combinations. Your child is sure to come home tap dancing everywhere around the house and especially in the aisles of the grocery store! A class for adults of all ages and abilities. There will be a focus on Ballet technique, as well as exploration of Lyrical dance. Ballet is the foundation of dance. The fundamentals of ballet will be explored in depth using classical ballet technique. Each class will concentrate on proper alignment, lift, turnout, terminology and style. For adults of all ages and skill level. Adult Jazz/Hip Hop is a fast-paced dance class that is matched to upbeat, rhythmic music. Dancers will focus on progressions and combinations in the styles of Jazz and Hip Hop. Our classes are taught by trained professionals who have the experience to take the newest or most experienced student to the next level! For adults of all ages and skill level. Adult Tap is a rhythmic and percussive dance performed wearing shoes fitted with metal taps. Dancers have fun and make noise! Our classes are taught by trained professionals who have the experience to take the newest or most experienced student to the next level! *Approval Needed* Students will work on developing coordination and rhythm skills in tap class in an exciting and upbeat atmosphere. Our teachers pay close attention to each student to make sure that basic skills are developed and challenge dancers each week with fast paced, advanced rhythm combinations. Your child is sure to come home tap dancing everywhere around the house and especially in the aisles of the grocery store! *Approval Needed* Ballet is the foundation of dance. Each class will concentrate on classical ballet technique, proper alignment, lift, turnout, terminology and style. Dancers in this class are either preparing for pointe shoes, or already en pointe. Lyrical is a dance style that blends jazz, contemporary, modern and ballet techniques. A lyrical dancer uses movement to express strong emotions such as love, joy, and anger most commonly interpreting the lyrics of a song. Movements in lyrical dance are characterized by fluidity and grace, with the dancer flowing from one move to another. Class includes a strong ballet foundation with elements of all other styles for a broad range of expression and musicality. Lyrical is a dance style that blends jazz, contemporary, modern and ballet techniques. A lyrical dancer uses movement to express strong emotions such as love, joy, and anger most commonly interpreting the lyrics of a song. Movements in lyrical dance are characterized by fluidity and grace, with the dancer flowing from one move to another. Class includes a strong ballet foundation with elements of all other styles for a broad range of expression and musicality. Tap requires a great deal of rhythm and coordination and can be a challenging style of dance. Tap is a rhythmic and percussive dance performed wearing shoes fitted with metal taps. Dancers have fun and make noise! At IMDC, we believe in creating positive experiences and lasting memories. The Daddy/Daughter dance is an experience that will last a lifetime! Spending time at rehearsal and working through choreography with your daughter is never time wasted. The memories of class, in fact, are as significant as performing the actual dance on stage in front of an audience. Try to remember this important fact if you feel confused, frustrated and tired during rehearsal. This time with your daughter is for you and your daughter… it is unique, important and very special.